#15 | Life’s A Beach! Yesterday at noon here in the United States, the temperature in Lafayette, LA was 37° Fahrenheit. (The expected high was 46° F; I don’t think we reached it). Chicago’s noon temperature was 16°, and with the wind chill it felt like 14°. And in Fairbanks, Alaska? A frigid 10°. And yet, across the world at Cottesloe Beach near Perth, Western Australia, it was a balmy 72° F, and surfing enthusiasts could check the surf forecast. For them right now, life’s a beach! 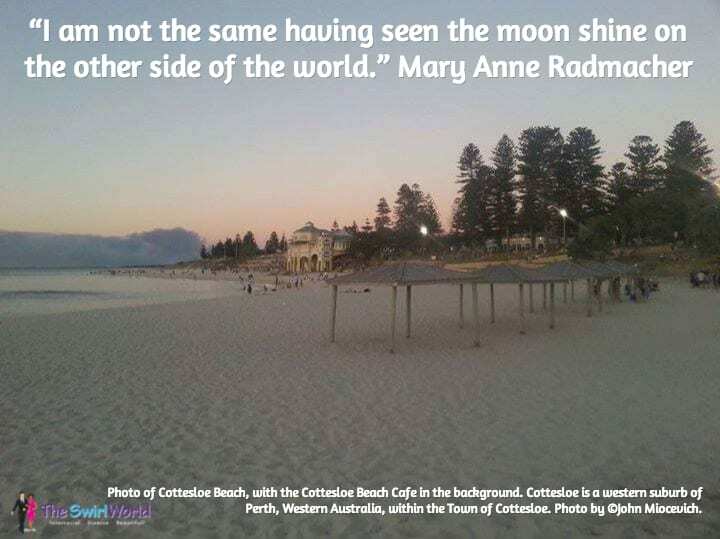 Now, close your eyes, and imagine the moon over Cottesloe Beach. Isn’t it time we did some traveling? 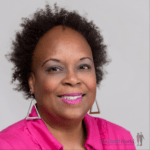 The inspiring Rosetta Thurman of Happy Black Woman just posted a feature article entitled, “Four Steps to Creating an Online Travel Vision Board.” I strongly advise you to check it out! Let’s set up a board so we can get up and get out – I’d love to see the moon rise in another location, wouldn’t you? Copyright ©2015 Michelle Matthews Calloway, ASwirlGirl™, The Swirl World™, The Swirl World Podcast™, The Swirl World Inspiration Daily™, All rights reserved. Photo of Cottlesloe Beach Copyright ©2015 John Miecovich. Used with permission.